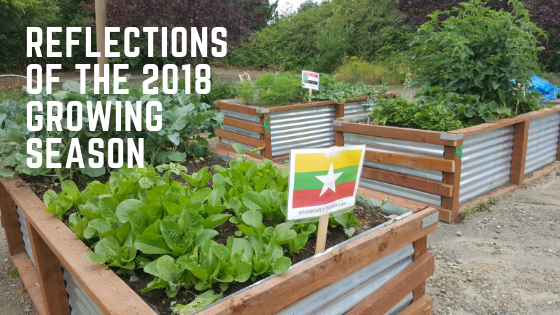 The inaugural season of World Relief and Hillside Church’s community food garden was a huge success with 20 countries represented in the 50 available plots (most measuring 10 x 17). 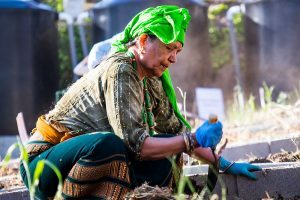 Throughout the season, gardeners gathered for classes on trellis building, composting and seed saving along with shared meals made from produce grown in the garden. These opportunities for communal assembly have had a coalescing effect and the gardeners have truly become a united community. Gardener Hau Lian wrote of his experience at the garden, “When I got my personal free time and doing gardening it’s make me forget my stress and feel fresh and by looking [at] what I planted growing it make me happy.” Most of the gardeners at Hillside’s Paradise Parking Plots Community Garden come from an agrarian background and are learning what familiar crops will and will not grow successfully in the maritime northwest. 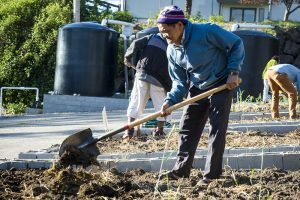 This past weekend, gardeners were busy clearing their plots in preparation for cover crop seeding, harvesting the last of their produce and saving seeds for planting in next year’s garden plots. The garden will not be sitting idle during the winter months, however. Construction is already underway to incorporate five rain gardens at the site. These rain gardens will help filter stormwater runoff from the upper parking lot and will be the first of their kind in the city of Kent. 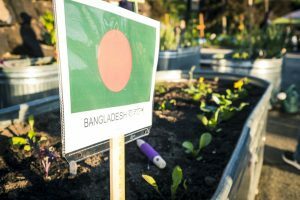 If you are interested in volunteering at the garden, watch Eventbrite for upcoming events (search refugee garden/Kent). Next season, KCD hopes to bring food production even closer to home with “milk crate” gardening (watch for details this Spring). 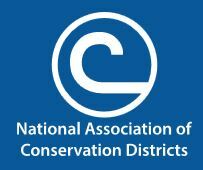 By offering implementation and technical assistance, KCD helps make it possible for communities to grow food whenever and where ever possible while stewarding the natural resources that promote a healthy and sustainable food system.